That extra step! Perfect for those hard to reach places, like brushing teeth and helping Mommy! 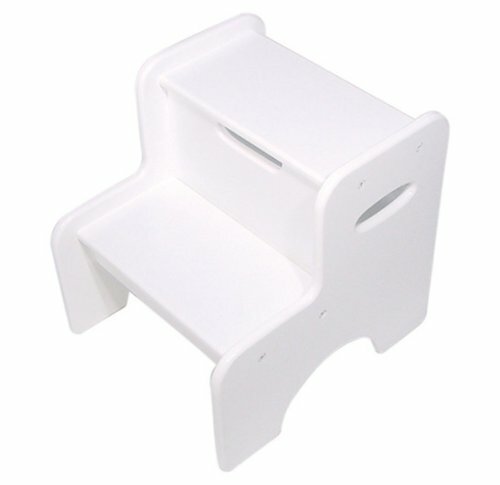 This two-step stool has that extra step making it easier for toddlers as well as a few more inches in height. Sturdy KidKraft stool combines solid workmanship with style. Appropriate for children ages 3 to 8 years old. Measures: 15.38"L x 13"W x 14.13"H"